Hormel Foods Corporation (NYSE: HRL) today announced that Jeffrey M. Ettinger, chairman of the board, president and chief executive officer at Hormel Foods, was recognized as Executive of the Year – Manufacturing at the 2010 American Business Awards. The American Business Awards, now in its eighth year, is the only national, all-encompassing awards program honoring great performances in the workplace. Winners were announced in New York City on June 21. More than 2,700 entries were submitted for the 2010 American Business Awards and more than 200 executives nationwide participated in judging. Ettinger was selected as Executive of the Year – Manufacturing for his strong leadership at Hormel Foods during 2009, a year characterized by economic turbulence and instability. During this time, under Ettinger’s leadership, Hormel Foods thrived. The company grew through continued new product innovations and the creation of a joint venture to market Mexican Foods in the United States, MegaMex Foods. In fact, in 2009, Hormel Foods continued to increase dividends and was added to Standard & Poor’s 500 index, despite the turbulent market. Ettinger was also instrumental in helping set a new standard of leadership in the industry for transparency and sustainability. In 2009, Hormel Foods launched its first fully digital corporate responsibility report and constructed a new manufacturing facility in Dubuque, Iowa, that is designed to save substantially on energy and water. The facility is expected to meet Leadership in Energy and Environmental Design (LEED) certification requirements which will make it one of the first manufacturing plants — and the only refrigerated food processing facility — to be LEED certified at any level. Having joined Hormel Foods in 1989, Ettinger has held multiple positions at the company. He has served as a senior attorney, treasurer and Hormel® chili product manager. In 1999, Ettinger was named president of Jennie-O Turkey Store — the largest subsidiary of Hormel Foods, based in Willmar, Minn. Ettinger was appointed president at Hormel Foods in 2004 and CEO in 2006, where he oversees all functions and operations at the $6.75 billion multinational business. Hormel Foods has a long history of great leaders, beginning with founder George A. Hormel, whose 150th ‘birthday’ will be celebrated on December 4 of this year. 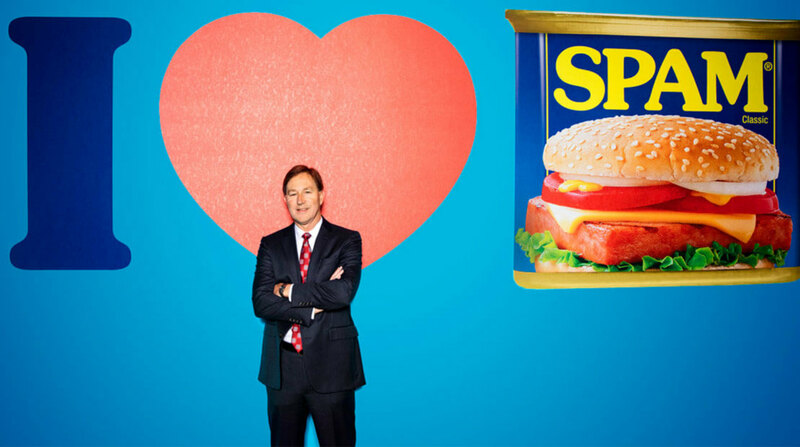 In its 119 years, Hormel Foods has had only nine CEOs, including Ettinger, which speaks to the stability of the company. Hormel Foods Named No. 40 on the CR 100 Best Corporate Citizens List Hormel Foods was named to the 11th annual 100 Best Corporate Citizens List compiled by Corporate Responsibility (CR) Magazine (formerly CRO Magazine).